I have a bit of a love/hate relationship with sleep. I love to sleep, and I hate when I can’t get enough of it. I also love, love, love when my children sleep through the night or sleep in late (I’m talking 6:30 or 7 am late,) or take a nap. They are more pleasant to be around, they are less demanding, and they have more energy (if that’s possible?) in a good way. I hate when they go to bed super late, when they wake up for some strange reason in the middle of the night, or when they wake up early (you don’t even want to know what time that is!) 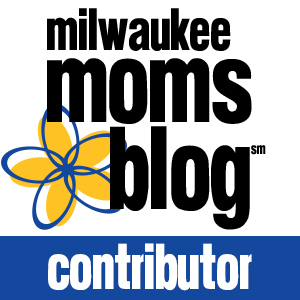 Without enough sleep, my children are “challenging,” and that’s putting it mildly. While I don’t always have the answers as to why my children aren’t sleeping, I do know why I’m not sleeping. 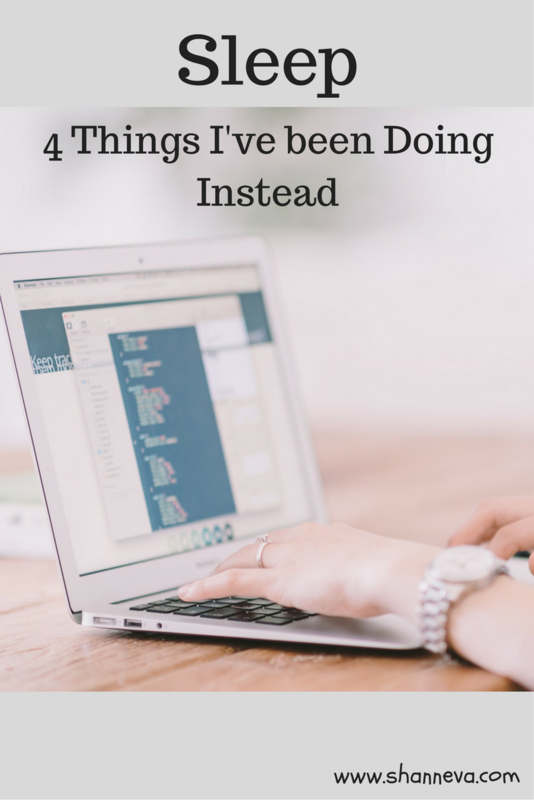 I’m going to share the 4 reasons I haven’t been sleeping, and also share what I’ve decided to do about it. I’m hoping that writing it all out will be the final push I need to finally get some good sleep…and to help you too. After all the children are finally sleeping, me and my husband finally feel like we can relax. It takes both of us a little time to unwind from our days, so we need a good hour or two before we even think about bed. The bedtime process for the kids has been going on longer and longer lately, so this then pushes our bedtime back too. The twins used to go to bed nice and early. Around 6 pm, we used to get them started on their routine, and by 6:30, they were in bed. About 10 minutes later, all quiet. Now that they are older, they don’t get into bed until at least 7 pm. 7 still isn’t super late, and would give me and my husband plenty of quiet time, however, they have not been going right to sleep. The other night, they were still playing around, and it was 10:30 pm! So, we’ve been trying different things…taking away toys, closing the door, and shutting off the hallway light. They hate all of these things, and it usually doesn’t work. So, we’re going to have to figure out something new. As for our oldest, Mr. B tends to stay up later. He likes to have some quiet time without his brothers, and watch a show or two. This is actually OK because he and my husband usually watch something like NOVA or a cooking show together. When he then goes to bed, he is out right away. When the kids are finally sleeping, or at least in their rooms, it’s time to unwind. The problem is that I then turn to technology…TV, laptop, and phone. I like to get a little work done while watching TV. I can’t just sit and mindlessly watch a show. So, I write a blog post, or do some blog promotion, with the TV going on in the background. I usually get distracted on Facebook, and browse for a while. I also might play the occasional game of Spider Solitaire. OK. I do this almost every night lately. When I do finally decide to shut off the TV, my laptop, and my phone, my brain is still going. I’m putting together lists of what I need to do the next day, I’m thinking about everything I didn’t get done that day, or I’m trying to remember something I know I’ve forgotten. Basically, my mind just runs in circles. I’m writing blog posts in my head, thinking of what I can make for dinner the next night, and I’m trying to remember which meeting is happening on Friday night. On the rare night that I don’t turn to technology, instead I turn to the mountains of laundry piled up in our room. It’s actually easier to match up socks when someone is not throwing them around, or to put away dishes when someone is not screaming for a glass of milk from the living room. Now, this housework can almost become relaxing, until I realize just how much more there is to be done. Instead of being satisfied with putting away one big pile, I look at the 10 others and try to keep going. All of a sudden it’s way past a normal person’s bedtime, and there are still 8 piles. Knowing the obstacles to getting to sleep are more than half the battle, but I’ve also come up with other ways to get myself to bed earlier in a more relaxed state of mind. It’s so tempting to just check one more email, or look at one more story on Facebook, and all of a sudden it’s an hour later. If I set a time to shut everything down, I can give my brain some time to stop too. I’m thinking at least a half hour before bed. I would say an hour, but I’m being realistic, and I’m going to ease into this. Instead of thinking about everything, I’m going to use 15 minutes to write down things I need to do, appointments I have, or anything else on my mind. Instead of keeping it in my head, I’ll get it out on paper. I can put it in my Google calendar in the morning. Paper is just fine. Since I’m not one to just sit for a half hour, I’m going to designate this as reading time. This will really give me time to unwind and get me out of my own head. It doesn’t even have to be a book. It can be one of my magazines I have been waiting to read forever. I need to get rid of the clutter, get a new pillow, and start using our essential oil diffuser. A calm environment can’t hurt. I’m hoping these things will help me get to sleep earlier, sleep better, and put me in a better mood. A well rested mom is a much happier mom. Do you get enough sleep? What do you do to ensure you are well-rested? I really need to get better at turning technology off. So often I just jump right back on the computer after spending all day in front of one! I stay up too late every night 🙁 Kids go to bed and I get to work while we watch a couple of shows. Next thing I know, it’s after 10. I need to get better about shutting everything off at 9! I hardly ever sleep, at least not a deep, restful sleep. Part of it is my hubby’s erratic schedule (sometimes we go to bed at 11, sometimes at 2 a.m.) and part of it is just plain restlessness. Maybe I’m getting to that age, lol! I need to take your suggestion and just shut off all technology. Everything you listed is so my reasons of getting maybe 4 hours of sleep… especially technology and thinking! great tips! I definitely needed to see this. I hardly ever get good sleep anymore. 🙁 I am definitely working on it though. Thanks for sharing! Technology, man. It’s the worst when it comes to getting to sleep in the first place, then falling back asleep when I wake up in the middle of the night. The siren call of my phone is just too strong for me to resist sometimes! Ah sleep. I miss thee. The use the bedroom as a relaxation haven has helped. No technology in bedroom and it makes a difference. Not always realistic though – especially since I’m laying in bed typing this right now…. These are great tips. I am so guilty of trying to do work before I go to sleep. My mind also gets jumbled with thoughts of what I need to do the next day. I will have to try some of your tips. Lord knows I could use more sleep. I don’t have kids but my dogs like to keep me from sleeping at times. I really dislike when my sleep gets interrupted. I become cranky. I also know that technology keeps me from sleeping when I should be going to bed. I love the idea of having a set time to shut off technology. This is so me! I’m cranky when I don’t get enough sleep, but I can think of a million other things to do besides it! At 8 pm we start diffusing lavender and cedarwood to wind down for bed and it helps so much! I read this and I chuckle to myself…all Moms know that other Moms don’t sleep..but why didn’t anyone mention this we decided to have babies! haha! Now I know, it wouldn’t have mattered anyway because we still would have had our babies and every single one of our babies are worth it! For me..or rather us, we gave up on bedtimes and bedrooms. Yes, seriously. And it works. My husband and I simply set up the bed and allow the kids to crawl in with us. We all lay together and snuggle until they (and sometiemes WE) fall asleep. If we are awake or have to work to do, we quietly get up and leave them in their dreamland. We don’t move them to their bed next to ours until we are are sure they are deeply asleep. It’s incredibly relaxing and we all enjoy it immensely…and all our night time drama is OVER! 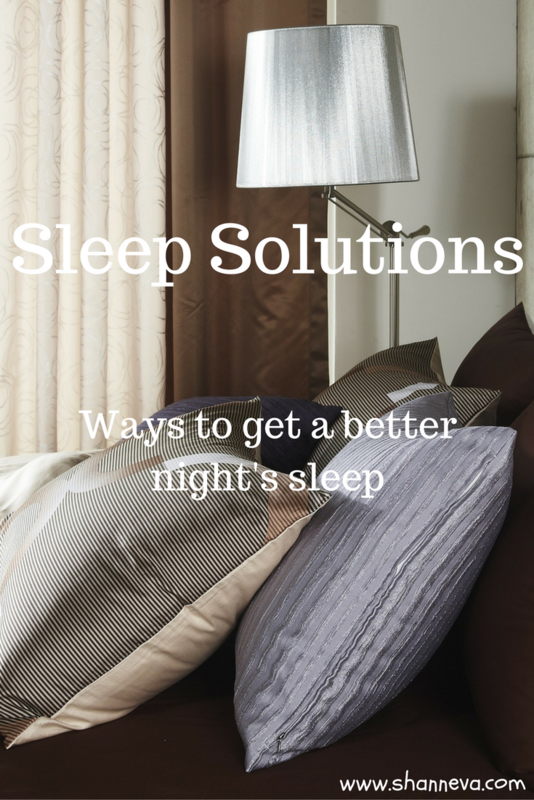 The best thing we can do to sleep better is to make it a priority! Awesome post! I can never sleep because my head is always racing. I need to learn to switch off. Technology for me too. Always makes me late..also me time after daughter goes to sleep. Or just thinking. ..